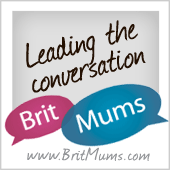 We are a trio of mums who whilst pregnant met, got on pretty well and are all returning to work post maternity leave. We struggled to find much information on certain aspects of returning to work (or anything that told us its OK to want to go back to work) so here we are, on a website, trying to write blogs, where hopefully as we fumble our way through mum life, we can share with anyone reading this and possibly even help someone else out! We have just published a bit more information about ourselves so please have a read and let us know if there is anything you would like to know.